Significant concerns have been raised by the Environmental Protection Agency about the quality of water at urban beaches particularly in the Dublin area. The EPA’s 2017 Bathing Water report has found that water in five of Dublin's 15 beaches in Portrane, Rush South, Loughshinny, Merrion Strand, and Sandymount Strand failed the minimum EU mandatory standard. 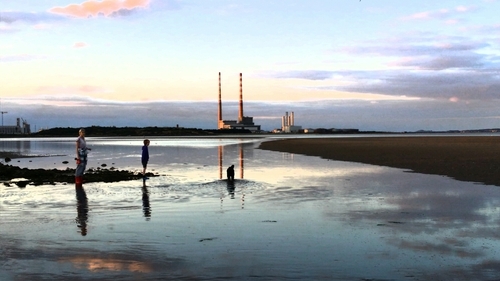 The report found that five other north Dublin beaches are vulnerable and have the potential to fail because of pollution impacts. Beaches in Clifden and Ballyloughane in Co Galway were among a total of seven bathing areas failing to make the grade. However, the overall quality of bathing water at beaches throughout Ireland is very high. More than 70% have been categorised as excellent, while 93% met the stringent EU standards. The EPA points out that, over the last four years, nine of Dublin's 15 bathing waters have shown deterioration in water quality. The problems are being caused by periodic sewage discharges, pollution from contaminated surface streams especially after heavy rainfall, and also by pollution from bird droppings, dogs and other animals. The agency has warned that beaches have to be permanently closed for bathing if they fail to meet EU standards five years in a row. It is calling for more action to eliminate the sources of contamination that are particular to urban areas. EPA Scientific Officer Peter Webster said there is no quick fix to problems with urban beaches in Dublin and Galway. He said that this problem was not unique to Ireland, but was a European problem and said there were multiple inputs contributing to problems on urban beaches, for example, drainage from seas and rivers, and sea birds.